And this for about 1 or 2 minutes! 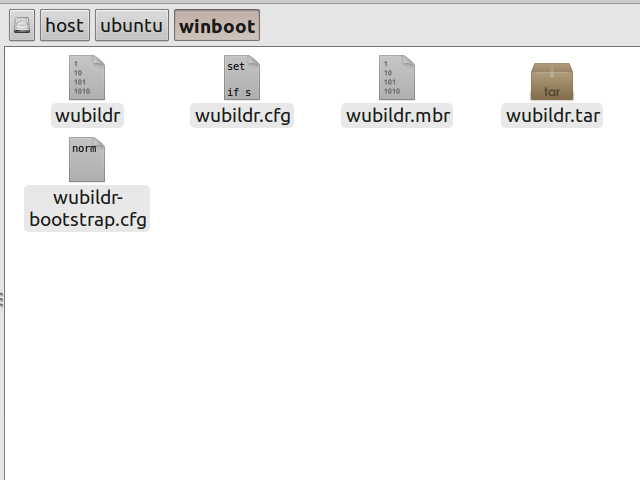 then ubuntu boots up.. 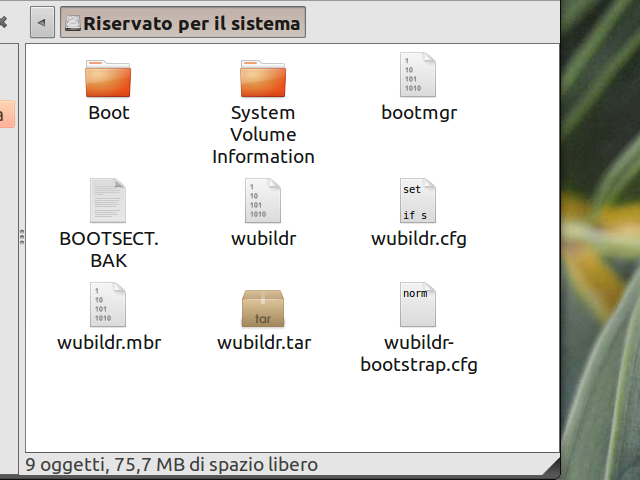 The problem is that an hidden partition that windows 7 creates, reserved for the system, about 100mb in size, keeps our loader from ..well.. LOADING our O.S..
go to “File System”\host\ubuntu\winboot and copy ALL of its content. go to (and mount with double-left-click) “System Reserved” and paste ALL you’ve COPIED in step 1.
then you can reboot and no-more-hanging of our loader, that finally..well..LOADS..
UPDATE: Where does this hidden partition come from? Here’s a pic from the installation process of windows 7!